The best thing happened a few months ago! Jesse turned to me and said, “What house projects would you like to do this spring?” It was like music to my ears! It may have backfired a little because I gave him a list of what I’ve been thinking about for each room in the house. 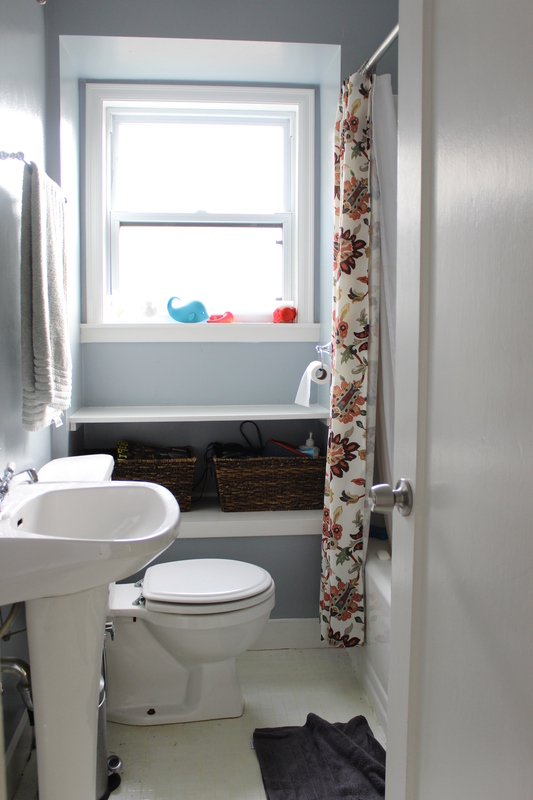 But we prioritized and decided it was time to work on the bathroom. 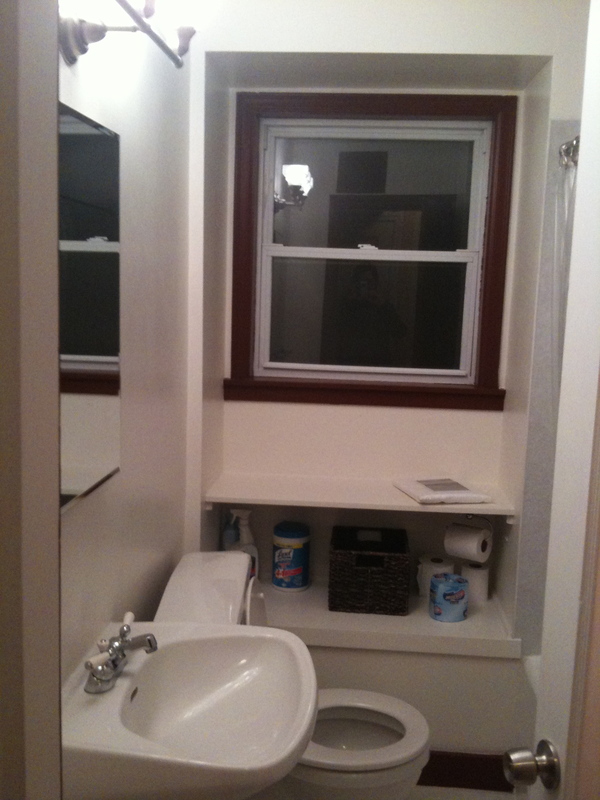 This is a shot of our bathroom the day we got the keys, about 3 1/2 years ago. The trim was painted maroon, which I decided was because there was no fan and the maroon hides the pink mildew. We pretty quickly put in a bathroom fan and painted! Here is the bathroom now, today in fact! The surround is just sheets of laminate that were glued up. 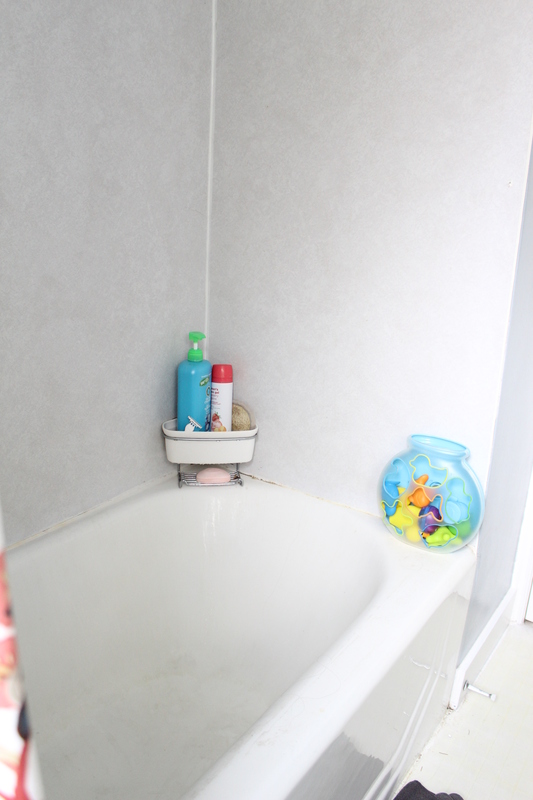 This project became a priority when I noticed a large gap between the laminate and the tub underneath the shout. Now I am just nervous how long it’s been like that and how much water damage has happened. 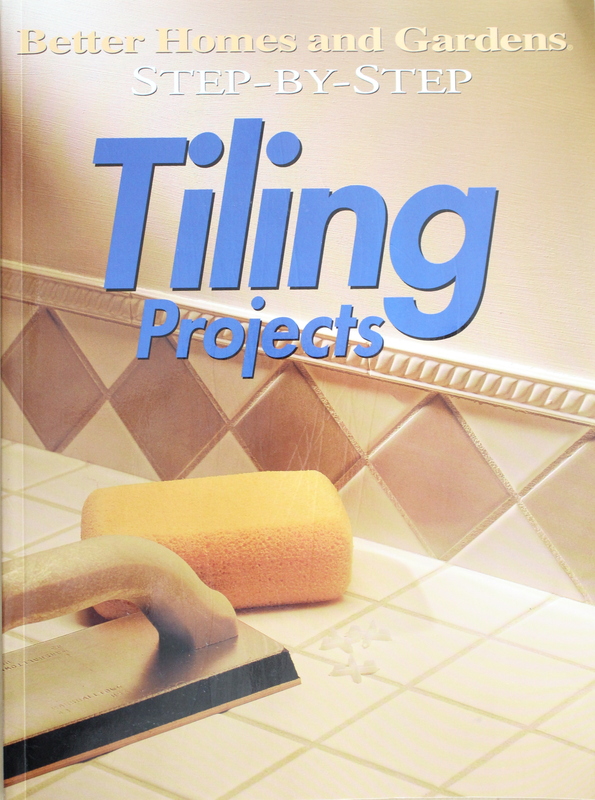 I have always wanted to get my hands on a tiling project. 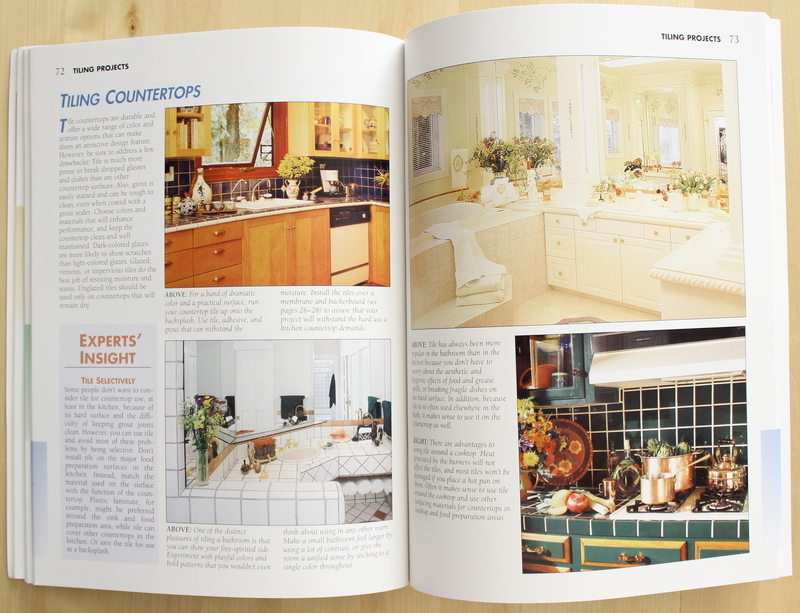 I even bought this tiling book when I was in high school just so I could read all about it. The best part is, when I went home last week to see my parents, it was exactly where I thought it was, just sitting on my old bookshelf in what used to be my bedroom. Totally dated! All the instructions are drawn diagrams. 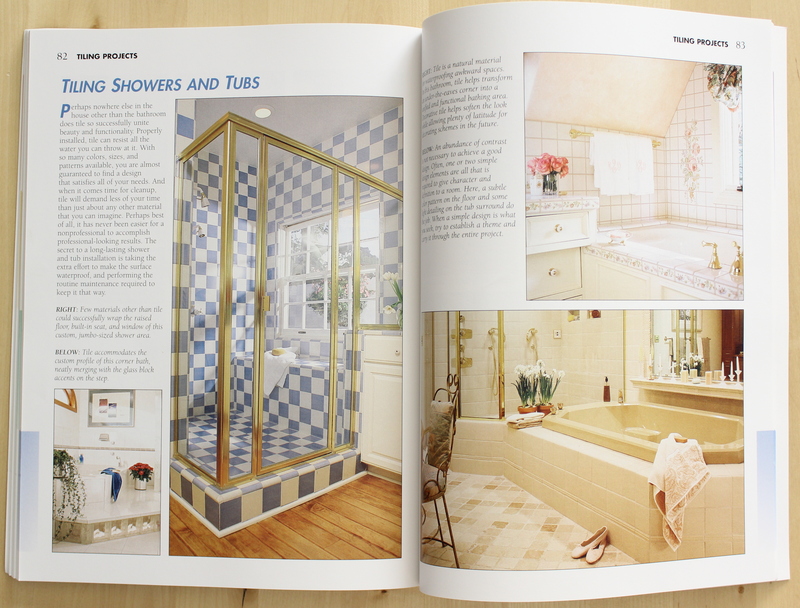 But truly the best part are the inspiration photos, when 1/4″ grout seams were popular…what a pain to keep clean. And now it’s March and I am kind of terrified! I’m excited to finally get a chance to tile, but I have no idea what is going on behind the laminate sheets. I assume that it was glue directly onto the plaster. I see pulling the sheets down, and the plaster just crumbling down with it, which is fine, since we need to put up cement backer board anyway…but what if it’s worse. But that will have to wait until I am a master subway tiler…or I have proper funds! 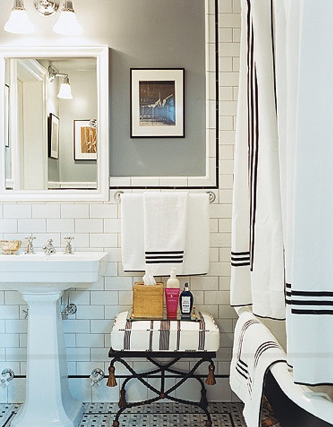 The plan is to go with white subway tiles, and dark grey grout. I figure our first tiling project requires something straight forward, nothing fancy. 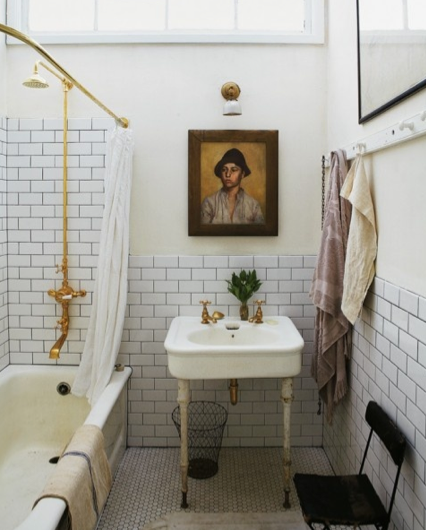 Each time though that I have gone to Lowe’s I have found myself looking at other options such as borders and decorative tiles, but then I remind myself that there is a reason we are keeping it simple, clean, and cheap. And FAST, we only have one bathroom, so it will have to happen very quickly! 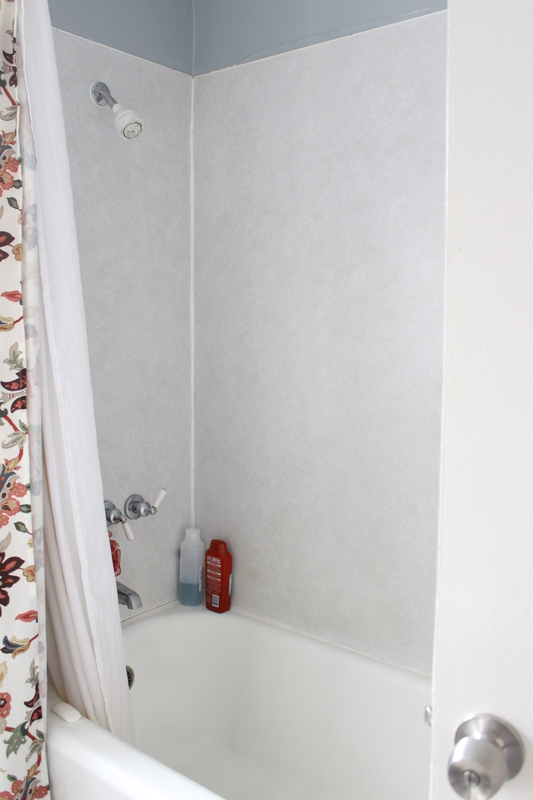 Once we get the tile finished, we will have someone come out to refinish the tub. I hope all the timing works out! We are only replacing the shower head. Our other fixtures are in great shape, so it will be nice not to have to deal with any refitting. Out tiling will conclude phase 1 of our bathroom facelift. Phase 2 will be pulling up the faux tile linoleum flooring, re securing the sub floor, laying down new flooring, and installing a new toilet! Maybe phase 2 will be May. 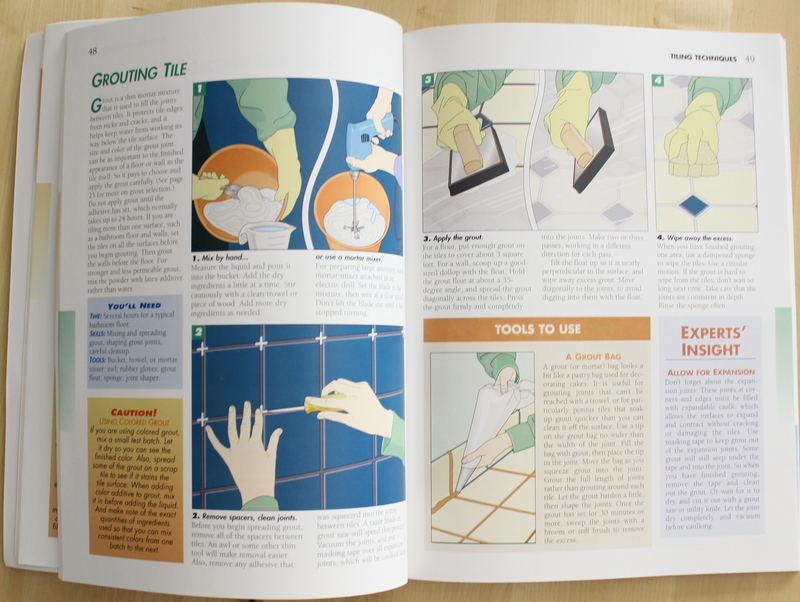 So last chance…any advice or lessons learned from DIY tiling experiences? Lucy and I are out the door on our way to pick up our supplies!